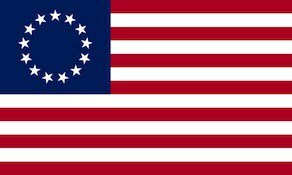 The Hillsborough District militia was an administrative division of the North Carolina militia during the American Revolutionary War (1776–1783). At the outbreak of the Revolutionary War, the newly formed North Carolina government divided the state into six military districts. These districts each comprised a number of counties surrounding a significant town. The six districts, which corresponded with old judicial organizations, were: Edenton, New Bern, Wilmington, Halifax, Salisbury, and Hillsborough. Later, two additional districts were added, further dividing the mountainous western part of the state. Within the Hillsborough District were the counties of Caswell, Chatham, Granville, Orange, Randolph, and Wake. Each district was to supply a brigade of militia regiments under the command of a brigadier general. Thomas Person was appointed the first commander of the Hillsborough District Brigade in 1776. During the 1781 Battle of Guilford Court House, the Hillsborough District was commanded by John Butler. Each county supplied a regiment (Orange County supplied two regiments), which in turn was composed of various companies. Each company consisted of no less than 50 men and was further divided into five “divisions.” One of the five divisions was reserved for “the more aged and infirm men.” The other four divisions, of each company, drew lots to determine the rotation they would follow for their tour of service, which usually lasted for three months. Eventually the “fifth division” of “aged and infirm men” was dropped, as was the maximum age limit from 60 to 50. In order to provide a greater pool of available manpower, the old colonial militia exemption list was revised. As the militia had a poor reputation for turning out, bounties to induce volunteerism were common during the war. For men who chose not to serve when drafted, there were two options: pay a substitute or pay a fine. These options, with some modifications, remained throughout the war. Militia from the Hillsborough District participated in nearly all of the important Southern campaigns and engagements. Orange County militia were particularly involved in many engagements including Stono Creek, Charleston, Camden, Cowpens, Cowan’s Ford, Clapp’s Mill, Guilford Court House, and Lindley’s Mill.